Commercial Drone service provides a cost effective way to collect aerial data for monitoring, mapping and for design projects. In construction industry drone flights at regular intervals are provided to document existing environment, track construction progress and to ensure fulfillment of contract. Drones services also ensures to eliminate safety and health concerns for the workforce that would otherwise exposed to hazardous sites and the sites which are difficult to access. One of the primary factor driving the growth of drone services is the introduction of high-quality and advanced drones. High quality aerial imaging and data in real time will expand its usage in commercial and public sectors. Disaster risk management, environment monitoring and aerial mapping are already benefitted from drones. Agriculture sector, construction industry and energy sector is creating greater demands. Aerial mapping, aerial imaging and 3D modeling are the major services segments that are in high demands in end -user industries like agriculture, construction and mining. Drones services majorly used for monitoring of stock piles, crop yield estimation, designing of projects and real time monitoring in agriculture sector. Technical advancement of commercial drones in order to make these devices stronger, lighter and more powerful to achieve longer flight time, will help to expand the applications of drones. Expansion of drone's application will present the opportunities for drone service providers to expand their services in different business verticals. Expanding applications of commercial drones in various industries is one of the major factors driving the growth of Drone Services Market. In 2016 more than 2.5 million of commercial drones were sold in North America, which is the largest market for commercial drones. Rising sale of drones backed up by the expanding application and technical advancements boosts the drone's services market growth. Military drone market is the most mature market for the drones and its services. U.S military is using drones since 2001, and expanded its fleet to more than 7000 by 2012. Rising need of drone services for search and rescue operation in military and law enforcement bodies strengthen the growth of drone service market in government sector. Growing use of drones services in agriculture for the crop yield estimation, plant counting and precision farming, is estimated to drive the growth of drone services in agriculture industry. In engineering and construction industries real time information is the major challenge for the companies. Commercial drones can provide the real-time data of entire project and day-to-day progress of the entire project. It is anticipated that construction industry will provide the largest business opportunities to the commercial drone service providers. However, rising concerns for privacy and stringent regulations by the aviation authorities for using drone in civil aviation airspace poses the major challenge for the growth of drone services market. Moreover, shorter flight time of drones is the major factor limiting drone services and its market growth. Global drone services market accounted for USD 0.850 billion in 2015 which is anticipated to reach USD 9.4 billion by 2024. Further, global drone services market is expected to grow at a compound annual growth rate of 57.8% over the forecast period i.e. 2016-2024. North America dominates the market with more than 40% share in global market. In U.S more than 325,000 drones were registered in FAA, and it is estimated that more than 6 million drones will be shipped to U.S by 2020. Europe is the second largest market with more than 28% share in global drone services market. 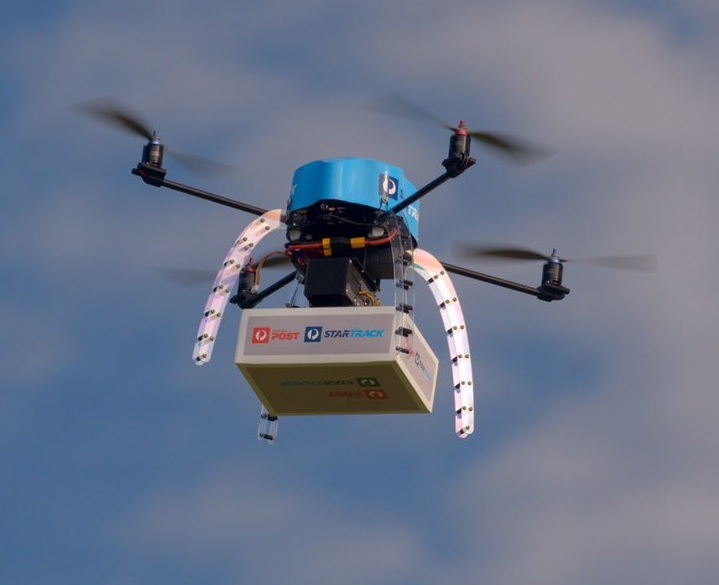 Growing drone services market shows considerable potential, with European demand for drone services, the market is expected to exceed USD 8.0 billion by 2035 and over USD 15 billion by 2050. In Asia Pacific region Australia emerged as a hotspot for drone service market and is the fastest growing market in Asia Pacific.